So, it’s been a while since you’ve seen me. 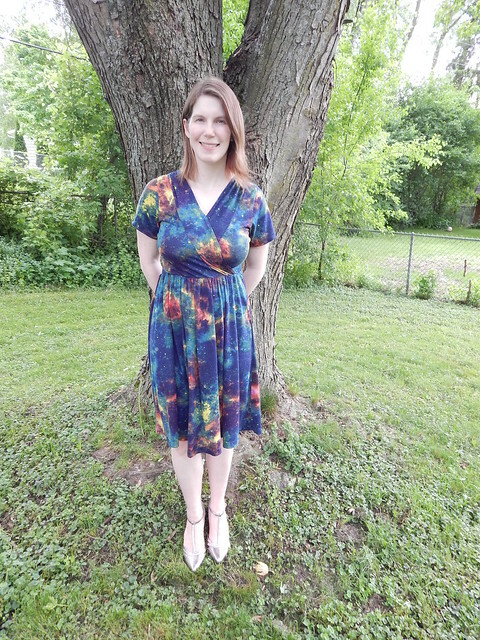 I’ve been around, posting gobs of pictures of my progeny in itty bitty mama-made clothes, but I haven’t been on the blog in me-made-threads since The Final Maternity Dress, about 11 months ago. I’ve made several things for myself since he was born, but have felt too overwhelmed with life to take photos and post them. I still feel a bit of that, but there has been a change in the wind lately; a hint that I may be slowly wading out of the new-mom-fog. And then there was Wren. 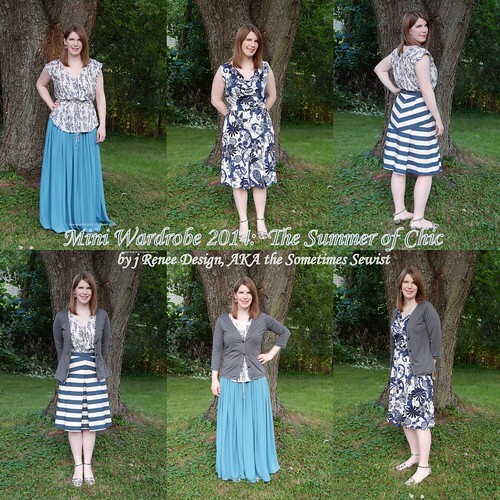 Colette Patterns released a new pattern last week: a dress called Myrtle that can be made up in a knit OR a woven. Neato! I am a sucker for cowl necks and covetously eyed the comfortable looking elastic waisted dresses I spied in droves while we were on our honeymoon, so I decided to go for it. I know this dress’s name makes sense due to the M naming convention of Colette’s knit pattern collection (Moneta dress, Mabel skirt), but it still makes me think of children’s books that feature female turtles more than anything. Firstly, Happy New Year! 2013 was pretty awesome, and 2014 promises to be even more exciting for me (and Mr. 5). More on both of those things at a later time. Secondly, I’m feeling a bit really behind these days. I’ve done a bunch of sewing, and some knitting, but zero blogging in the last couple of months, and I’m having some trouble figuring out where to begin again. But, it’s like anything, If I let myself get bogged down in the logistics, I’ll never start again. So, time to jump in. I have a backlog about a mile long, and I’m going to start with the items I made as Christmas gifts, and then share a recap of my trip to NYC in November (woot!). Then, a parade of everything I made but didn’t blog in 2013, ending with a yearly recap, which I hope to have in the books by the end of January. Whew. But first, I have a decision to make and I’m just not sure which direction to go. It’s my birthday on the 19th (31! Egads.) and I am having trouble deciding what I should make for my birthday dress. 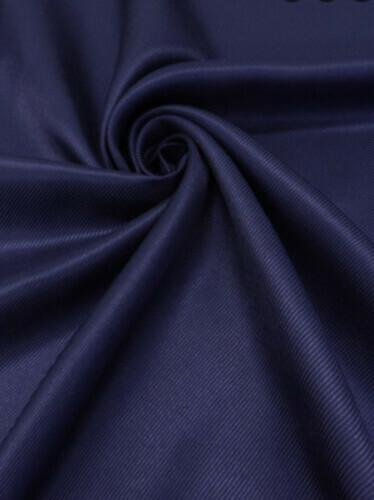 I already know the fabric, though: this delicious navy blue silk twill from Fabric Mart. 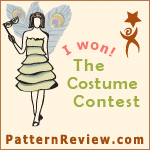 This pattern is an oldie but a goodie: Colette Parfait! 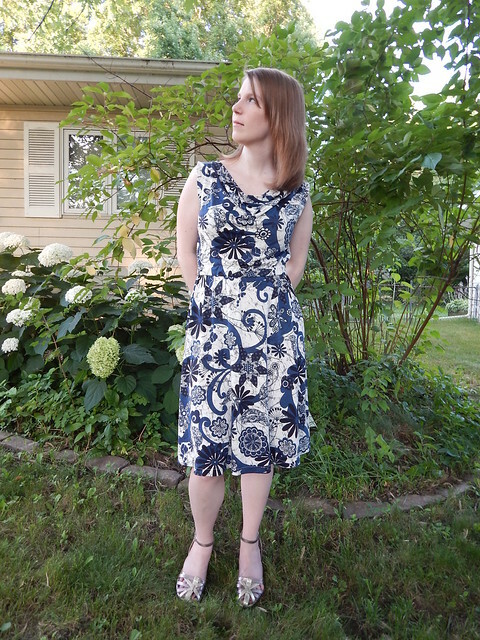 I whipped it up in an easy breezy Amy Butler Cameo collection cotton voile – Josephine’s Bouquet in Ink. 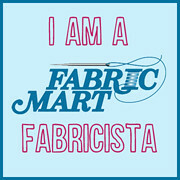 Oh how wonderful this fabric feels…I wish you could pet it through the internet. It greatly increases my desire for some Liberty Lawn.